Schalch Lepe, M.D. tells NBC 7 the number of patients complaining of allergies is picking up in San Diego County. 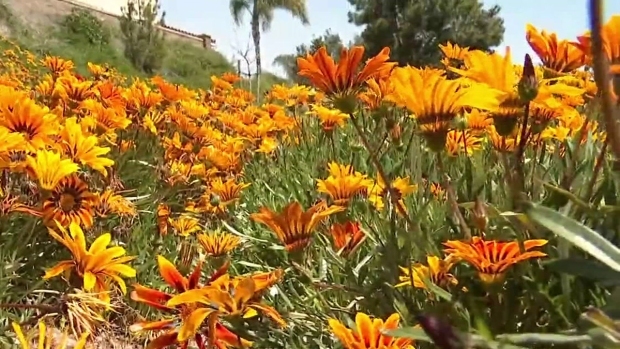 An otolaryngologist in San Diego told NBC 7 he anticipates a long season for allergy sufferers. Schalch Lepe, M.D. has had more patients than usual complaining about allergy symptoms. Common symptoms include itchy and watery eyes, scratchy throat, coughing and sneezing. And that’s before the dry, windy weather has really arrived. He anticipates this year could be one of the worst for allergy sufferers. “I haven't seen as much rain in the forecast, so now you're going to get all the super bloom you hear so much about, and the next thing that's going to follow is the winds,” Lepe said. Children are often more exposed to pollen, trees and flowers than adults. NBC 7 found one after-school camp in Chula Vista that is seeing the impact of this year’s intense allergy season. "A lot of kids have been absent due to the allergy season and when they do come back they're not fully recovered,” camp leader Juan Manuel Sandoval said. If you do suffer from allergies, Lepe suggests you switch up your routine. Other things can help like washing your face or spraying your nose with a saline spray. “Even the so-called netty pot that we use quite frequently for our sinus patients can help a lot," he said.